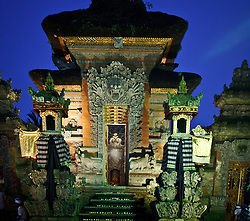 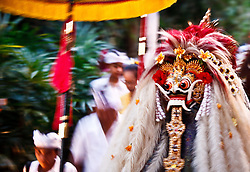 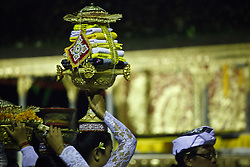 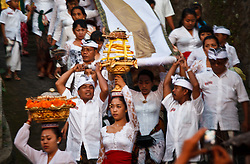 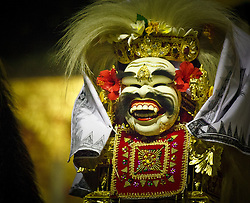 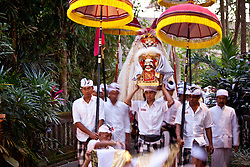 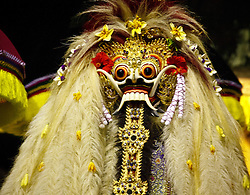 Balinese masks take many forms and are usually carved from a special light wood called pule, which grows in graveyards. 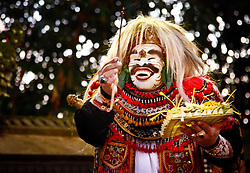 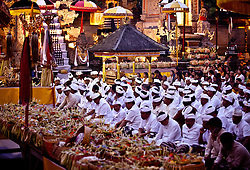 The photos are the steps in a ceremony involving 3 masks - Sidhakarya and 2 Rangda masks. 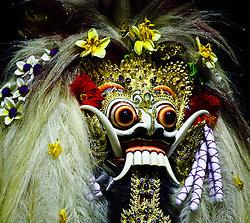 Rangda is Queen of the Witches and has either white or red-brown hair.